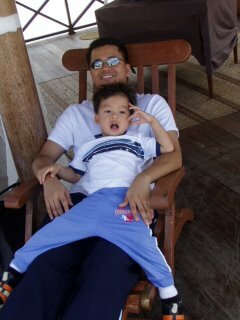 Last night, as we cuddled in bed, you placed your hand on my cheek and emphatically said “I LOVE my Daddy”. Did you know that a long long time ago, when I was still a little girl, I too used to declare my love for MY daddy? You know him as your Lolo Johnny, your “Friend” who helps you look for your turtles every morning. To me, he is so much more. I am writing this letter to you now to share my memories of my Daddy and my Lola Canding. My Lola Canding (your Lola Lola) was a beautiful, gentle woman with a strong spirit. She passed away many years before you were born but some memory snapshots remain as clear as if they were taken yesterday. Maybe it is because your Lolo Johnny takes after her in so many ways. They are remarkable people whom I love very much and I hope that in sharing my memories and feelings about them with you, you will also imbibe their values and strength of character. You know your Lolo Johnny as the man next door whom you can visit ever y morning. He is the turtle-finder, the key to opening the piano and computer. He is all that is kind and giving, acceding to all your whims and demands (within reason of course). 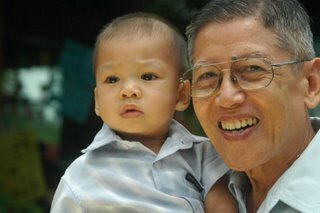 You may not realize it now but your Lolo has a character of steel which I think he inherited from your Lola Lola. They were rebels during their time, going against the norm to forge paths of their own choosing. Lola Canding chose to be a teacher over the wishes of her father who wanted her to be a pharmacist. Your Lolo stopped one step shy from ordination into the priesthood and shifted gears to become a diplomat. I find it interesting that both your Lola Lola and Lolo chose vocations of service. Your Lola Lola was a teacher, one of the few during her time who actually had a bachelor’s degree. She consistently obtained Outstanding ratings from her superiors and eventually became district supervisor in Batangas with jurisdiction over all the public schools in the town of San Jose and the neighboring town of Ibaan. Your grandfather was one of the first graduates from the College of Foreign Service of the Lyceum of the Philippines to pass the Foreign Service Officer (FSO) Examination given by the Department of Foreign Affairs (DFA) with flying colors [topnotcher yata ang Lolo mo!]. The consummate career diplomat, he opened the foreign missions in Iran and Moscow and had great influence on the molding of foreign policy during the twenty-odd years he was with the DFA. I admire your Lola Lola and you r Lolo because they fearlessly took on jobs which had the power to directly affect the lives of thousands of people. Your Lola Lola trained teachers and taught future leaders. Your Lolo trained career diplomats to properly represent the Philippines to the world and take care of Filipinos here and abroad. It is only now that I am older and working that I realize how exciting and challenging their work days must have been. To me, they are simply “Lola” and “Daddy”. To others they were “Maestrang Canding” and “Amba Ona”. Both very giving individuals, they earned the admiration and respect of all who worked with them. When your Lola Lola passed away, the open area in front of the house in San Jose was transformed into a veritable flower garden by all the offerings from people whose lives she touched. On the day she was laid to rest beside your Lolo Lolo, the church was filled to the brim with people who came to pay their last respects. Even though your Lolo Johnny retired from the foreign service more than 10 years ago, I still hear words of praise from his subordinates who are now ambassadors and chiefs of mission. He is the founder of the DFA Tattlers, an informal egroup of senior career diplomats who selflessly share their knowledge and experience with the younger generation of foreign service officials. 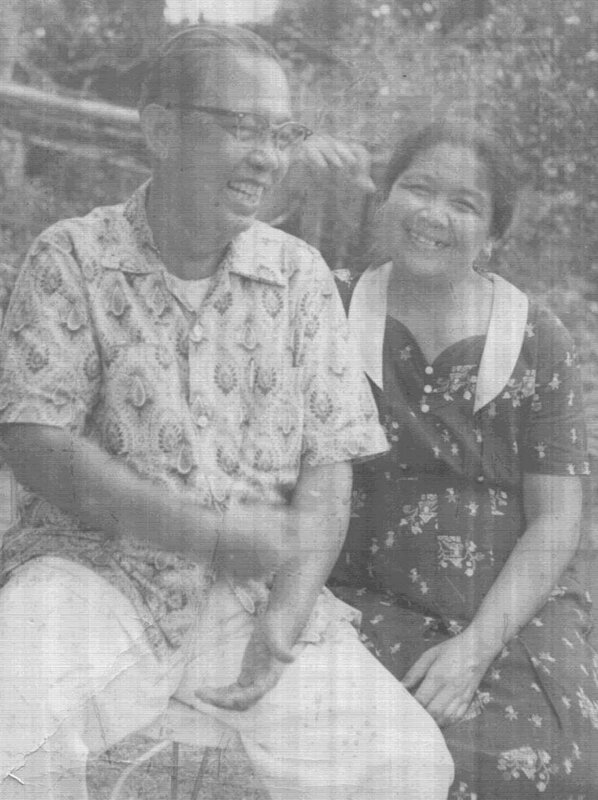 Although they both made significant inroads in their professional lives, what I admire most about your Lola Lola and Lolo Johnny is that they never lost sight of what was truly importa nt – family. Your Lolo Johnny sacrificed a lot for his family. He made the conscious decision to seek assignments in English-speaking countries which had excellent special education programs for your Tito Leonid. He turned down opportunities to become the head of mission to countries such as Sweden, Russia and China. I have never heard a peep of regret coming from his lips, even though it must have been difficult for him to let go of those choice posts. For him, there was no contest. The welfare of the family would always come first. This is a lesson that your Daddy Miles and I are now trying to apply with you. Your Lolo Johnny learned about self-sacrifice through the example set by Lola Canding. An essentially very private individual, she campaigned door to door to ensure my Lolo Narding’s success in a hotly contested mayoral campaign in San Jose and supported her children in their life choices. Her home was open to all, so much so that in her golden years, she gave away many of the “antiques” in the house such as the wooden sungka with which we used to play when we were kids. 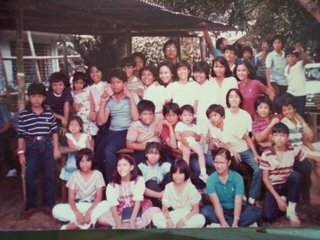 My cousins, your Titos and Titas, are ext remely close today largely because of Lola Canding and the bond that was formed during long summers spent in San Jose. She took charge over her growing brood of rowdy grandchildren during summer vacations and made sure that those who were far away didn’t miss out on the goings-on back home. 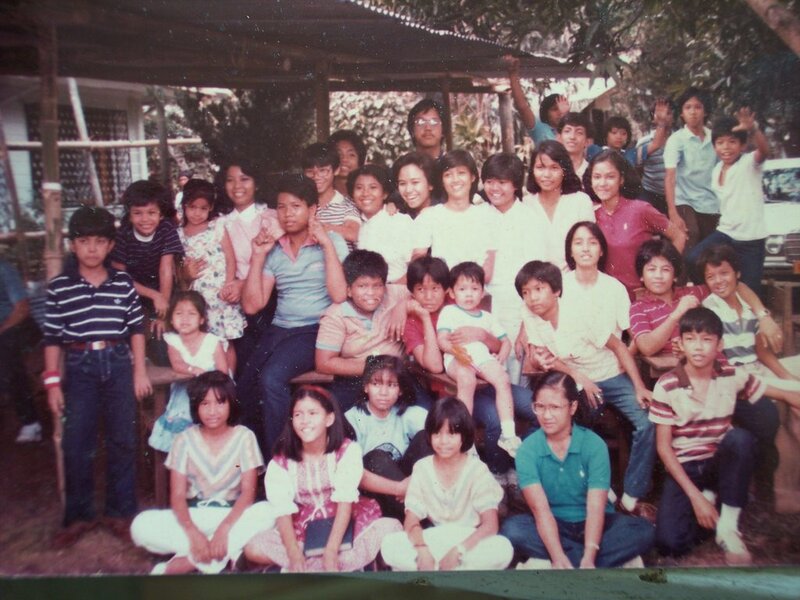 Your Titos and Titas still tell stories of the times when she would sit all the kids down at the family dining table and make them write letters to your Lolo Johnny while he was abroad. The enterprising ones would sneak a peek at the daily paper and write him the headlines of the day. Your Lolo Johnny is also an avid letter writer who has willingly taken on the challenging role of family historian, keeping everyone updated on both joyful and sad events occurring in the clan. He always shares uplifting tidbits to make us proud to belong to such a colorful, accomplished family. He has progressed from writing on rims of thin blue postal paper to typing emails on his computer until the wee hours of the morning. No wonder he can type more than 60 words a minute! Your Lola Lola was the original packrat. I remember her proudly showing me shoeboxs filled with black and white photographs which transitioned to snapshots printed in brilliant Technicolor; handwritten letters from your Lolo Johnny received from all corners of the globe; and my own chicken scratch. Your Lolo Johnny is a devotee of the idea that certain objects get better with age. He has a barong tagalog which has traveled the world from Canada, Australia and the Philippines. Boy, if that barong could talk, the tales it would tell! It has attended visits of heads of state (including Queen Elizabeth II and Pope John Paul II) and participated in countless ribbon cuttings, inductions, graduations, weddings, and the occasional funeral. It was worn for the last time during my Despidida de Soltera as a symbol of the impending change in our lives. André, your Lola Lola and Lolo Johnny were quiet individuals who left an indelible mark on the lives of all who knew them. As a little girl, I remembered my Lola Canding as the gracious lady in the big house in San Jose who always had a gentle smile and kind words for me. 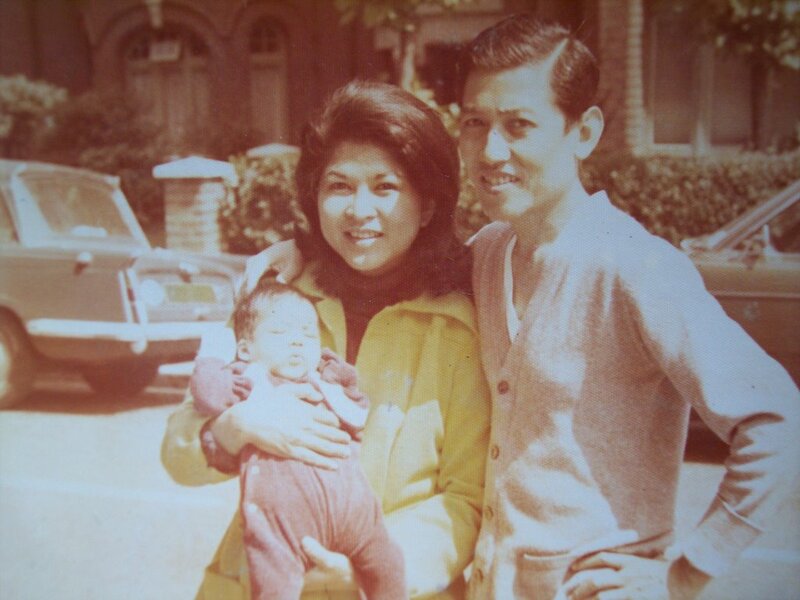 I idolized your Lolo Johnny so much that I used to declare to one and all that he was the tallest… the smartest… the best-est Daddy in the whole wide world. 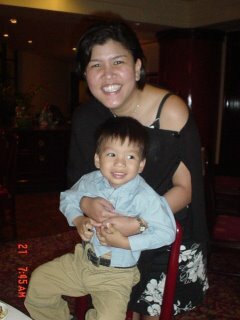 Now, I would add that he is the kindest… most patient… and most loving Lolo. As you grow up and strive to make your mark on this world, I hope that you will set your Lola Lola and Lolo Johnny as your benchmark for success. Be a unifying force and constantly work for the greater good. And remember, your family will always be there to support you.